If you log onto Facebook today, you’ll probably notice the busy beavers over at Facebook HQ have added a few new features around the update status box. Now various blogs and publications have been writing about these changes over the past week (thank you All Facebook), so we were all expecting them to arrive sooner or later. However, it seems today is the day they’ve been rolled out to most users – that’s if my Twitter stream is anything to go by. So there have been a few changes, they look fairly simple, but what do they mean? And most importantly have the cheeky little scamps at Facebook opted us into making everything public and visible like they’ve been known to do in the past? 1. You can tag people who are with you using the little button I like to call the “ghostly head” in the bottom left hand corner of your update status box. You can already do this really, but now there’s a button for it to make it easier and to presumably get people to do it even more. I think this is a great idea, but don’t get too trigger happy with it. It could get very annoying for the people you hang out with regularly. 2. You can now add your location to your posts using the little “location marker” button next to “ghostly face”. For the past week we’ve been seeing headlines such as “FACEBOOK KILLS PLACES” and “FACEBOOK DOESN’T CARE ABOUT LOCATION”, but this latest update shows Mark Zuckerberg and his pals DO still care about where you are, they just want you to tell them in a different way. It’s good that you can turn the location button on and off at any time AND the fact you can use it from your desktop and not just from your mobile like before, means you don’t have to be in that specific location to mention it. So feel free to talk about places you’ve been in the past or places you intend to visit in the future. 3. On the other side of the status bar you’ll see a little drop-down menu. Now a slightly different version of this menu was there before, but what it basically gives you from now on is more control over who sees what. You can tailor all of this too, so maybe you want to send all of your normal updates to the general public, but only want friends to see photos and locations. And yes, you’re right, this does look mysteriously like the way you can control which information goes to certain circles from within Google Plus. There are a few more changes that are set to be rolled out over the next few weeks too, but these are the pressing ones you’ll need to know about right now. According to some tweets I’ve seen this morning Facebook has done exactly what we predicted it’d do above, change all kinds of things to public without warning us. If you’re a bit obsessed with privacy go check out your settings now. And also, “public” means just that, EVERYONE. Not just your friends, EVERYONE. We’re not exactly sure how that works yet, but we presume when someone searches for you, regardless of who they are or whether they even have a Facebook account they’ll be able to see your content. But we’ll confirm that and update you ASAP. UPDATE: We spoke with a rep from Facebook who gave us a little bit more insight into the changes. The rep told us that the new “Public” setting we mentioned above isn’t different in any way, because before “Everyone” meant the general public too. The change has just been made to make it much clearer that your content will now always be visible. 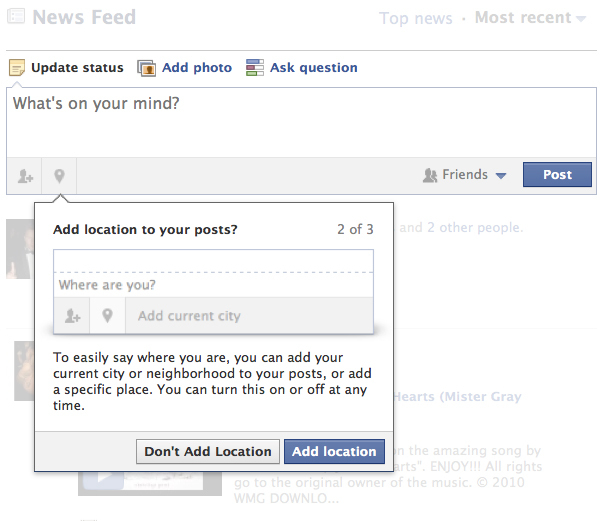 The rep also told us that Facebook shouldn’t be making any changes to your settings without your say so. Security issues and public perception have long been a concern of private citizens using facebook. There are many other social networks the public can choose from. One site that I have found to be intriguing, is onlymeworld.com, they don’t ask you for your name or email and still allow you too socially network adequately. Please check out my link to my profile and look at the site closely, it’s still in its beta stage but seems to be coming along nicely.